Each year when the Elroy Fair opens, Rita Kranz can be found in the green exhibit building where she volunteers as the flower department coordinator, setting up and rearranging flower entries. Her job is not complete until all of the judge’s placings are recorded and the last exhibit is off the shelves when the fair closes. The Elroy Fair has been a part of the Kranz Family’s life for generations. Rita passed her love of the fair on to her children and them on to their children. She has a grandson, Mike, on the fair board and an 8 year old great-grandson starting to show in dairy and rabbits. Her father-in-law, John Kranz, also served as a fair board member. Rita was born in Elroy in 1942. When growing up, the fair coming to town was a big event, she recalls; everyone always looked forward to it. 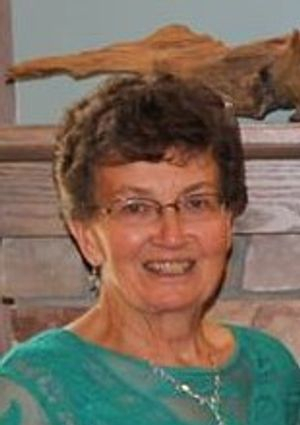 After graduating from Royall High School in 1960, she attended St. Francis School of Nursing in LaCrosse, graduating in 1963. Upon graduation she started her career at St. Joseph’s Hospital, Hillsboro. She married Tom Kranz, and they raised their three daughters Debbie, Dana, and Donna on their dairy farm. Over the years when the girls were growing up and in 4-H, Rita was a dairy leader. She and Tom also helped with the horse project. They raised Belgian Draft Horses and the girls had their saddle horses. When the fair came around, they would bring 12 to 14 horses to the fair. Those were the days when you had to leave your horses in pens for all four days. The girls took part in the youth horse show, and Tom in the draft horse show. Rita was always there, running around trying to keep everyone going in the right direction and getting whatever they needed for the next class. The girls also showed rabbits, chickens, cultural arts, and flowers. Currently, the horse pull is what Rita likes best about the fair. She has donated trophies to this for many years in her husband’s memory. Since retiring from farming and nursing, Rita has had more time to do volunteer work. She can often be seen helping with the gardens in downtown Elroy as part of the Hill and Dale Garden Club. She is president of the Elroy Area Food Pantry, on Parish Council at St. Pat’s, volunteers at Elroy Health Services, and is a long time member of the Hustler Booster Club. When the Labor Day Flood of 2018 sent a deluge through the Elroy Fair’s buildings, Rita was there to help with the clean up. Rita and her family have expressed their appreciation for the honor of this recognition, but it is truly our honor and with sincere appreciation that the Elroy Fair dedicates the 2019 Fairbook to Rita and the late Tom Kranz.